I want to say McCartney. Partly because Lennon is the "cool" choice, and partly because I'm a big admirer of Paul McCartney's character and I'm in awe of his drive and his artistic imagination. 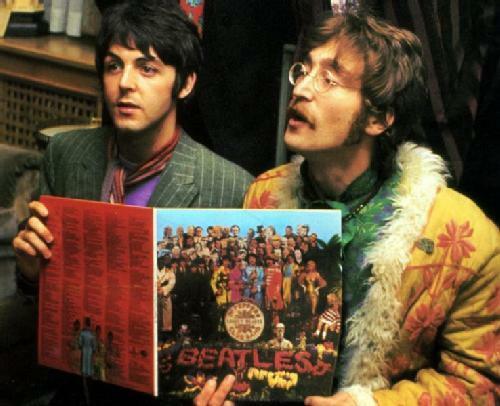 But when I review my favorite Beatles songs, I have more Lennon than McCartney songs in the list. My list has changed over the years, of course, but this is where I stand now. The only one of those that's primarily McCartney is "I've Just Seen a Face." But it's entirely possible that I've listened to the classics like Eleanor Rigby, Yellow Submarine and Hey Jude so often I've gone right off of them.